Let me start by saying this: Columbia University, I exist, too. I am a first-generation low-income student and am incredibly frustrated with the way my identity is discussed on campus in such dehumanizing ways. Although many of you may know what first-generation low-income means in an abstract sense, I doubt most of you could put a face to this identity. Here at Columbia, FGLI seems to have become less of an identity and more of a talking point. This was especially true during the first-year election season on campus. I know how appetizing FGLI issues are to people who are running for positions in Columbia organizations. You potential Columbia politicians see us as a monolith, a voter block to entice with your platforms. You see our issues as things that have quick fixes. You throw “help for FGLI students” onto your platforms and hope that we will click your name on the online ballot options. Beyond that, it doesn’t seem as though we mean much to you. It is important to understand what my FGLI identity means to me. Being a first-generation low-income student at Columbia makes my experience twice as hard. Being FGLI is not just an arbitrary title—it is an identity that comes with painful experiences. For me, being FGLI means being the first in my community to graduate from the local public high school and go to Columbia in over a decade. It means calling my mom every night and hearing the exhaustion in her voice from hours of working at her minimum wage factory job and feeling so guilty for being here while she suffers day in and day out. It means watching students who graduated high school with me working alongside my mom in that factory, not knowing why the system served me and failed them. It means wondering every night if I will be able to give my mom the life she deserves or if she will burn out before then. And when you, members of Columbia’s student body, try to use my identity to advance your own agendas, your actions overlook my experience. Running for Columbia College Student Council was very discouraging. I ran so that I could help students like myself gain leverage within this institution that seems to love making things harder for us. As FGLI students, getting into Columbia was supposed to be the hard part. But after only a few months, I’ve discovered that the harder part is figuring out how to maneuver the extra costs that are only revealed to us after arriving on campus. Low-income students who don’t receive QuestBridge scholarships are forced to find ways to get required books, iClickers, laptops, and more during the school year. Luckily, Columbia provides resources to mediate these issues, though these usually take weeks of looking to find. But there are other things—FGLI specific counseling, accessibility to unpaid internships, expansion to the Academic Success Programs, and attempts to bridge prior educational inequity that hinders the success of low-income students—that aren’t currently available, and they could be essential to improving the quality of life for FGLI students. These are things that could have been promised to us by CCSC. Instead, during campaign season, my fellow candidates ignorantly promised FGLI students things that already exist to us in an effort to “help” us. I heard candidates promise lending libraries, an online PDF library, shuttle buses to other campuses, and funding for emergencies. Guess what? Those things already exist and I use them to survive! If it were not for those resources, I would have had to drop out after two weeks here because I would not have been able to gain access to them on my own. Some party platforms didn’t even mention anything more than helping FGLI students. Candidates either promised resources that already existed, or seemed to use “FGLI” to give the impression that they cared. I don’t feel that these candidates represented me to any extent. I do not care that some of them were also FGLI students, or that they intended to work on policy later; I’m not interested in any of their other excuses for the way this identity was thrown around during the campaign. These candidates did not seem to put an effort into actually learning about the needs of FGLI students during their campaigns. I was told by other students that I should alter my campaign, to stay away from talking about help for FGLI students so I could appeal to the general class of 2021. Other candidates were using my identity for votes while I was advised not to focus on my identity in hopes of attaining those same votes. I made a post on the Columbia 2021 page because I had enough of it all. And now, I am extending this message to the Columbia community at large. Here is my message to you. My identity is not your stepping stone toward an elected position. There is an overwhelming problem of trivializing the FGLI identity at Columbia. It is easy to ignore that identity when the norm here is being upper middle class and conversations center around the assumption that most students have had similar experiences. As an FGLI student, I am constantly erased. I am implicitly told to be satisfied with what I am given because it is so much more than I ever had before coming to this school. When students claim to support FGLI issues but have no exact plan, or when they repeat the need for initiatives that already exist, it shows me that they have not actually taken the time to understand our needs. The school administration can always play a bigger part in helping FGLI students, but the student body here needs to be ready to step outside its comfort zone and tackle these problems by itself. Students are a bigger part of the problem. It is time to stop normalizing privilege and treating the FGLI identity as just a term. 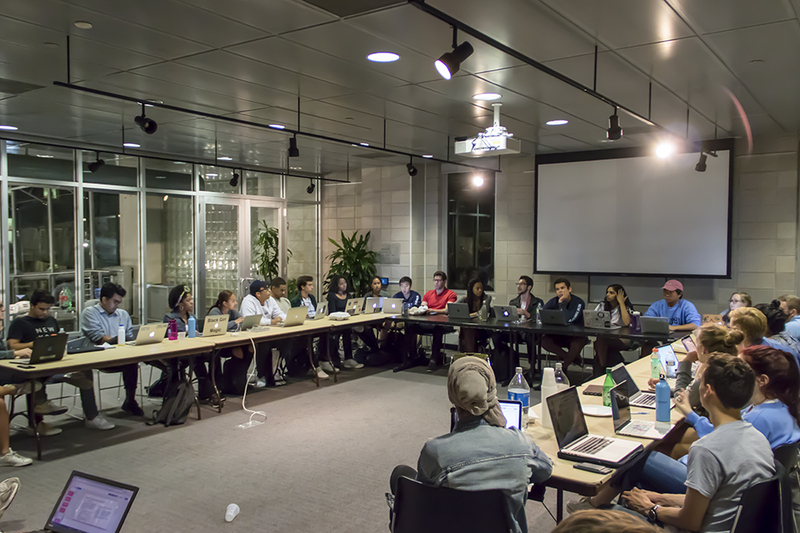 It is time for people on campus to confront their own biases and apathetic misunderstandings. I implore you all to make an effort to connect with the FGLI community. Listen to our stories, give us our space to speak, and think about the language you use in your group settings. If you don’t do these things, you only contribute to the erasure of our identity on campus. We know you exist. It is time to give us a space to exist too.